What exactly is gluten? In simple terms, it is a protein present in wheat, which provides stability to breads, cakes, cookies, and other baked goods. Gluten-free baking relies on other ingredients that can bind together and provide structure, ranging from eggs and nut flours to thickeners like xantham gum. 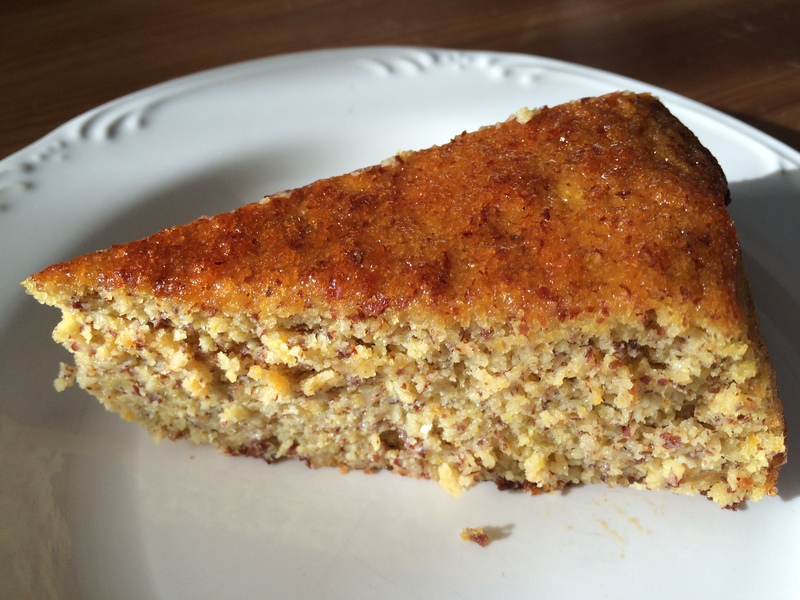 As a savvy baker, I understand that gluten-free recipes can bring about a number of challenges, and I’ve been sorely disappointed by nut-based, high-egg-volume cake recipes in the past. I baked this as a trial run for our seder, which will take place on the first night of Passover in just a couple of weeks. The recipe came from a food blogger in Australia, hence the use of grams below. The preparation is fascinating, as I think you may agree once you read the directions. I’m happy to say that it turned out very well; my plan for the seder is to add some slices almonds to the top, which will brown nicely during baking. *To make regular sugar super-fine, place it in a food processor fitted with a steel blade and pulse several times until you get a consistency like sand. Wash the oranges well. Place them in a large cooking pot with plenty of water and bring them to a boil. Turn down to a simmer, and simmer for 2 hours, checking frequently. Remove oranges from the water and allow to cool completely. Preheat oven to 375 degrees. Line a 9-inch springform pan with parchment, extending the paper over the sides. Remove the ends of the oranges, which can be bitter, and place the oranges, skin and all, into a food processor. Pulse to a smooth consistency. In a large bowl, whisk eggs and sugar together very well. Add orange puree and whisk together. Add almond meal and baking powder, stirring with a wooden spoon to blend completely. Pour batter into prepared pan and bake for 50-60 minutes, until a cake tester comes out clean. Be careful not to over-bake; the sides and bottom of the cake will darken considerably and you do not want them to burn. Remove from oven and cool in pan for about 10 minutes; remove the cake from the pan, leaving it in the parchment, and place it on a wire rack to cool completely. Remove parchment; store at room temperature. Note: this cake is very moist, and according to the original recipe it becomes even more so after a few days. Be sure to store in an airtight container.